« How to upgrade the kitchen interior? The elevated humidity of the bathrooms dictates specific requirements for furniture and accessories. Founding advice in the selection of furniture for the bathroom: purchase narrowly targeted furniture designed exclusively for bathrooms. This is explained by the fact that, during its manufacture, protection is provided against the effects of a specific unfavorable environment – high humidity, coupled with high temperature and vapors of various detergents. 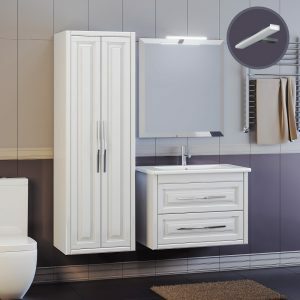 What should I look for when choosing furniture for the bathroom? The acquisition of bathroom furniture is usually started after all sanitary fixtures have been installed, the general design concept of the room has already been developed and partially implemented by the plumbing fixtures. As for the design decision of the furniture itself, it is not radically different, regardless of the manufacturer. This is primarily due to the specifics of the room and its narrow functional orientation. Therefore, when buying, first of all, you need to pay attention to the operational characteristics of the material of manufacture and the tactical and pragmatic characteristics of the product itself – the design decision, the reliability of the mechanisms, the quality of the external and internal coating. Only after you determine the degree of reliability of furniture for the bathroom of a particular manufacturer, you can begin to select products of the desired model and color range. Overview of the most popular materials. Tree. For some styles seemingly indispensable material. Especially ideal in terms of environmental cleanliness. However, wood in conditions of high humidity and temperature fluctuations quickly warp, deform and stratify. 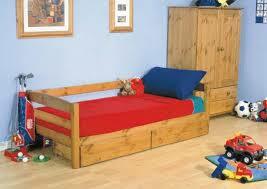 Therefore, wooden furniture is permissible to use only in very large rooms with excellent ventilation. Alas, most of the bathrooms of our fellow citizens do not correspond to these characteristics. Chipboard and MDF. 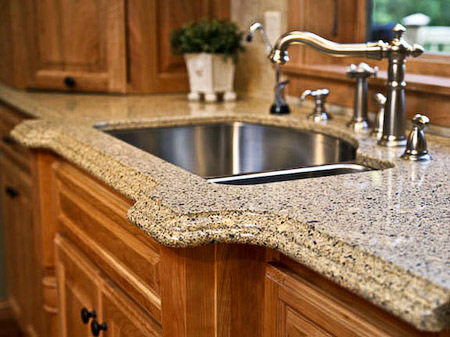 Most often, bathroom furniture is made from these materials. To enhance the performance characteristics of all its elements are covered with a special protective coating that provides high water resistance products. Plastic. It is a cheap and light material, not afraid of moisture, easily taking any form. Due to these characteristics, plastic products are easy to produce, which makes them cheap. Another advantage of this material is a huge color palette. However, the reliability, durability and strength of plastic products are very low. Therefore, it is often made from various accessories for the bathroom, and much less often – full furniture. Metal and glass. These materials are ideal for their performance. However, a significant limiter is the high price of tempered glass and metal products. In addition, the furniture of these materials is characterized by a very peculiar style, which not everyone likes. Here are the general characteristics of the materials used. The choice is yours. An important aspect affecting the quality of the furniture for the bathroom is the surface coating. Enamel, like lacquer, is resistant to abrasion, is a reliable and durable protection for furniture. It is characterized by a large color assortment, allowing you to create certain patterns. Fair enough for the price. Veneer is a thin wooden sheet used to cover furniture. Lacquered veneer is quite moisture resistant, which is why it is widely used to cover bathroom furniture. If such furniture meets your aspirations, pay attention to the joints with the purchase – they should be well processed. Acrylic sheet used for lining furniture, gives it elegance at the budget price of the product. However, a serious disadvantage of it is the ease of scratching the surface. When buying you need to pay attention to the joints, which must be treated with varnish or liquid acrylic, which turns them into a solid and smooth surface. Self-adhesive film – the cheapest and low-quality coating. Due to the rich color palette, the furniture covered with film looks very attractive, however, under the influence of moisture, the film will peel off very soon. Therefore, the desire to save money when buying bathroom furniture will result in the failure of furniture products and the loss of money. When choosing furniture for the bathroom in the first place you should pay attention to the mechanisms and fixtures used. Initially, you need to check the holes and grooves for them. Make sure they are made before applying to furniture.